Neustar Innovation Center in the University of Illinois Research Park located on campus with large corporations and startup companies.As part of its mission to foster open and secure technology innovation, Neustar, a trusted, neutral provider of real-time information and analysis to the Internet, telecommunications, entertainment, advertising and marketing industries, today announced a partnership with the University of Illinois to open the Neustar Innovation Center, a research facility located at the University of Illinois Urbana-Champaign. The Neustar Innovation Center will develop technologies to solve customer problems ranging from fraud prevention to security to large scale networking. It will bring University of Illinois students together with leading technology innovators in a vibrant environment designed to stimulate questions that have the potential to change the way people engage using technology, data and information. "The launch of the Neustar Innovation Center will provide our students with the opportunity to mold the next frontier of technology, furthering their education with real-life experiences and professional connections," said Chancellor Phyllis Wise, University of Illinois at Urbana-Champaign. "This added dimension to our university offerings will enhance our students' educational and career opportunities." 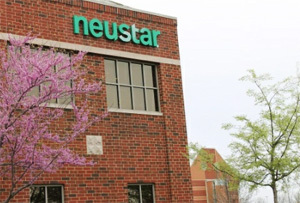 Neustar has appointed Ken Taylor to serve as the director of the Neustar Innovation Center. Prior to joining Neustar, Taylor served as technology principal for Yahoo! Right Media eXchange where he focused on large-scale data processing, collection and analysis. In addition to working with high-tech startups and Fortune 100 companies like Sears Holdings Corporation, Motorola, Inc. and Amdocs, he has also previously held teaching positions at the University of Illinois. As an industry veteran with nearly 30 years of experience, Taylor has the right skills as a software engineer, developer, entrepreneur and teacher to create an environment conducive to both learning and innovation. In his role as director, Taylor will focus on selecting and implementing experimental projects that will bolster Neustar's current and future services. In particular, Taylor will be working closely with students, guiding their technical work and providing them with experience that will complement university knowledge. In 2012, The Innovation Center will focus on Big Data, in particular the exploration of how data analytics can help Neustar and its customers solve problems and advance their businesses in entirely new ways. "I enjoy working with students because they bring a fresh perspective to problems and have a thirst to experiment and create change," said Taylor. "We want to encourage radical thinking in application to the challenging issues that businesses, ecosystems, communities and governments are facing around managing technology, information and data." "The partnership with the University of Illinois allows us to further examine the untapped potential of tomorrow's technologies," said Mark Bregman, CTO, Neustar. "By combining Neustar's powerful information and analytics with students' technological prowess, we believe the Neustar Innovation Center will put forth new and exciting solutions that will impact the market." Local Time: Saturday, April 20, 2019 11:31 AM PDT – Page Load: 0.2406 Sec.